The technology provider teams up with an award-winning electronics manufacturer. Black Moth Vision Systems Pty Ltd, provider of intelligent mobile vision and communication systems, announced today it has reached a strategic manufacturing agreement with SRXGlobal Australia Pty Ltd. Under the agreement, SRXGlobal will collaborate with Black Moth on the manufacture of the atlasMX system, smartMX-180 and tigerMX-5 products, and new product lines currently under development. Delivering parts ready for dispatch (SRXGlobal manufacturing facility in Dandenong, VIC). Paul Appleby, CEO of SRXGlobal, adds: “We are thrilled that Black Moth has selected SRXGlobal as its partner for the manufacture of its complex vision and object detection systems. This new supply agreement allows us to further expand our own expertise in the automotive and communication fields and work closely with a like-minded partner who provides leading and innovative technology”. 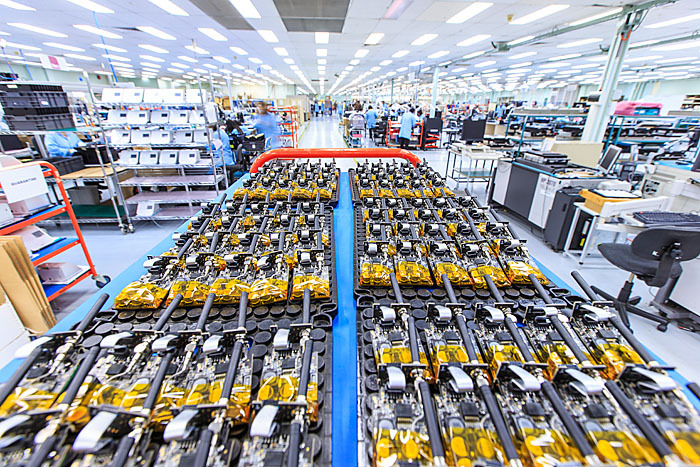 Headquartered in Sydney, SRXGlobal is a leading and long-established Electronics Manufacturing Services (EMS) provider focused on delivering full box-build solutions including design, engineering and manufacturing services to industrial, medical, automotive, telecommunications and defence OEMs. SRXGlobal helps customers design, build, ship, and service electronics products with a presence in Australia, Malaysia and Singapore. This international footprint provides design and engineering solutions that are combined with core electronics manufacturing and logistics services, dovetailing neatly into customer operations by lowering costs and reducing time to market. For more information, please visit www.srxglobal.com. Black Moth designs and builds intelligent mobile vision and communication solutions for transport and heavy industries. Based in Brisbane, the technology provider drives innovations to enhance worksite safety for heavy machinery. A dedicated team of industry experts, genuine entrepreneurial spirit and cutting-edge technology enable high-end solutions to support operations in diverse industries. To deliver extremely robust and durable products, Black Moth banks on high quality standards and exclusive in-house development. Customers benefit from tailored solutions, exemplary service and a true partnership approach. For more news and information about Black Moth, please visit blackmoth.com.